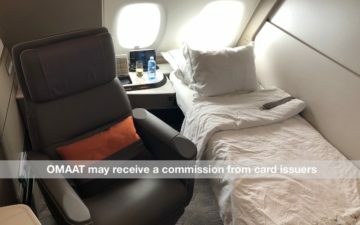 In this post I wanted to talk about the 5x points on airfare and hotel bookings offered by the Amex Platinum Card. Up until recently I kept this card primarily for the benefits, since it didn’t have any useful bonus categories. However, thanks to the 5x points on airfare, this is the card that has been earning me among the most points, so I’m thrilled about that. How does the 5x points category on the Amex Platinum Card work? How does the 5x points on airfare with the Amex Platinum Card work? When you use your Amex Platinum Card to purchase airfare, you’ll automatically be awarded 5x points. This bonus category should apply to just about any purchase made directly with an airline. There’s no limit to how many points you can earn with this bonus category. Many people like to book travel through online travel agencies (Orbitz, Expedia, etc.). Technically you have to book directly through the airline to get 5x points, though often when you make bookings through OTAs, the reservation is still processed directly by the airline. So you may still earn 5x points on these bookings, though it’s not a risk worth taking, in my opinion. 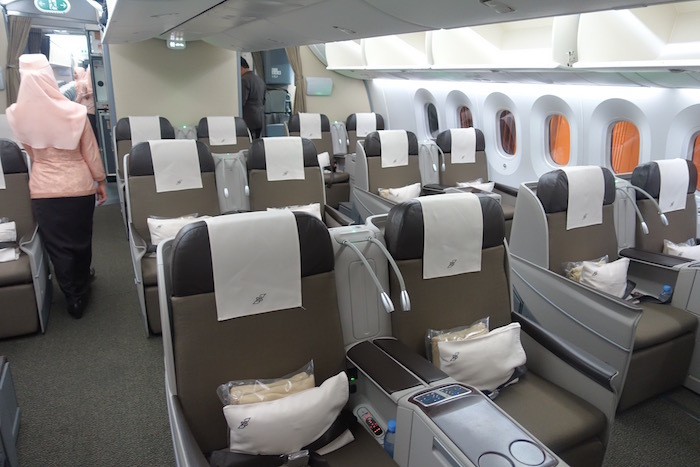 Is the Amex Platinum Card even the best card for airfare purchases? 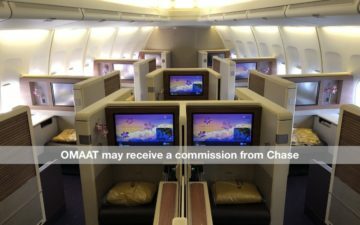 Previously I could earn at most 3x points on airfare with the Citi Prestige® Card or Chase Sapphire Reserve℠. Now I can earn 5x points on airfare. I value all of the above points roughly equally, at ~1.7 cents each. In other words, this is an additional ~3.4% return on airfare. Meanwhile the Amex Platinum Card doesn’t offer anything in the way of travel protection. Personally I find it worthwhile to put the spend on the Amex Platinum Card. I’d rather earn a consistent return that’s 3.4% better than to have some travel protection. Do note that there are a lot of terms associated with the travel protection on other cards. I’ve had one successful claim in the past, though I’ve also received a countless number of emails from readers stating their disappointment about all the restrictions with the coverage. Everyone has to decide for themselves which card is best for airfare purchases. Given how much I travel, the additional 2x points really adds up, and outweighs the value I’d get out of earning 3x points with some protection. However, occasional travelers might be more at ease using a card that comes with travel protection. Just make sure you read up on all the terms of the protection, so you have realistic expectations. How does the 5x points on hotels with the Amex Platinum Card work? While the 5x points on airfare presents huge new opportunities, the 5x points on hotels isn’t quite as exciting. You only earn 5x points on hotels when booking pre-paid reservations through amextravel.com. Unfortunately all other kinds of hotel bookings, including those made directly through a hotel, refundable bookings made through amextravel.com, or American Express Fine Hotels & Resorts bookings, aren’t eligible for this benefit. If you do make a pre-paid reservation through amextravel.com, you typically won’t be eligible for points accrual with your preferred hotel loyalty program. If you’re looking at booking an independent hotel, you’re likely to get a better return through programs like Rocketmiles, which offer airline miles or other rewards for making hotel bookings through them. So I don’t see myself ever taking advantage of the 5x points opportunity on the Amex Platinum Card. Personally I get a lot of value out of the ability to earn 5x points on airfare with the Amex Platinum Card. Not everyone will get as much value out of that perk, but as someone who spends a fair bit on airfare, I benefit greatly from that. However, do be aware that while you’re earning bonus points, you’re forgoing the travel protection that’s offered by some other cards. Meanwhile I don’t see myself using the 5x points hotel bonus, given how narrow that category is. It’s only valid for pre-paid bookings on amextravel.com, and I think you can do better with those bookings elsewhere. So the Amex Platinum Card is more rewarding for spend than it used to be, but most of my Amex spend still goes on The Amex EveryDay® Preferred Credit Card from American Express. I agree with the 5x points on airfare being the best thing out there. Combine that with the frequent Amex Offers and you can get very good deals. 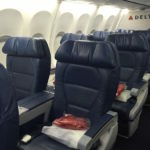 I was able to use Amex Offers to get $60 off of a $300 ticket with Delta before. Very shortly I’ll be booking a ticket with Air France for about $1200. The Amex Offer with this is 20,000 points if you spend $1000… plus you get points for the ticket price! So that’s 26,000 points back, worth $447 according to Lucky’s value. This is the type of value you can get out of the AMEX Platinum that many people don’t think about when they complain about the changes coming with a price. When you add in the face-value row b Hamilton tickets, the other AMEX Offers, the free booze from Marriott Gold status, etc… this card is still a no-brainer for me. 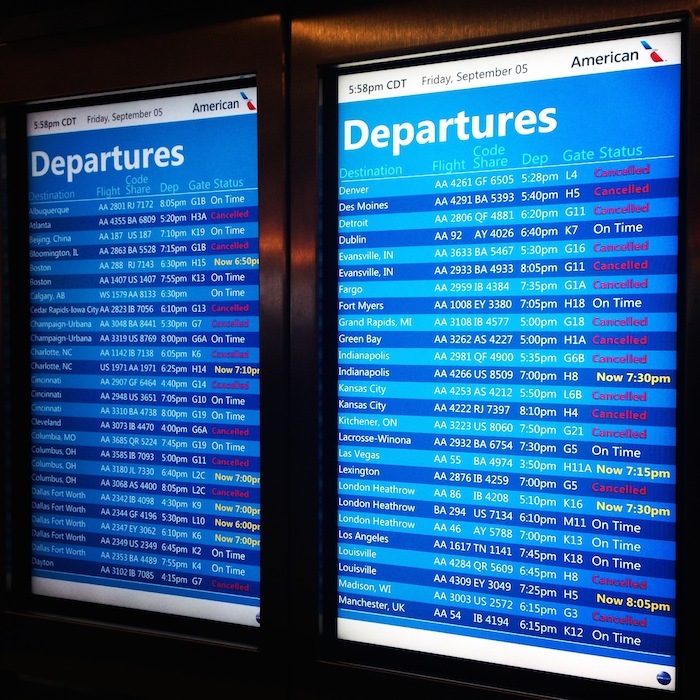 Purchasing upgrades through airlines (ex. Austrian, LH, UA, AA, DL) those count as airfare purchases? I am charged for baggage and travel delay insurance automatically ($9.95 and $14.95, I think) whenever I book a flight with my Amex Plat. Although I probably opted-in somewhere to have this done in the past, shouldn’t this be mentioned as a paid option instead of implying that there are no insurance offerings? But at $25 per ticket, I don’t know if that’s a great choice for many. @VX_Flier: I just went and looked and found the service you’re talking about. They aren’t accepting new enrollments right now. I would be interested for some of my bigger trips. It’s interesting to see all the differences between the US and the UK (and other countries probably)… You should have an article about that one day! – The first additional authorised user is free, but then EACH is 175GBP p.a. Yesterday, I booked a prepaid hotel thru AMEX Travel. Today, I checked my AMEX account (Pending charges), there is $2.00 Amex Travel fee. Is this something I missed from reading T&C or temporary charges from AMEX? @ Tiara — I suspect it’s just a temporary authorization. Interesting to note that those offer are not extended to Canada. We don’t have the same mix of perks. At least with UA it does. 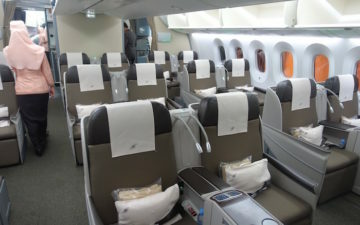 I did a flight a few months ago to Singapore and upgraded my seat to premium economy (still hurts doing a 16+ hour flight even with 4-5 extra inches of leg room!). Amex is dying, its rare to find places outside the US that even accept Amex cards. I consider it a luxury for some to have the card just for the benefits granted in the US. Visa & Mastercard all the way! Another. Clickbate post using the words American Express Platinum. Yest offers not. Substance to the. Reading. Same information has been published 100x in the last few weeks. I booked my flight reservation via united.com using Amex Platinum card. I didn’t receive my 5x points. My statement ended as well. Upon calling the agent mentioned if it booked through only amextravel.com. Clarify if I am right or wrong? Would purchasing points from an airline (as opposed to purchasing a flight) qualify for the 5x?